Namco Bandai's Justin Lucas talked to us about the new meta game, adaptable AI, and the new collector's edition. As far as co-op is concerned, two players can meet up online and take on over 90 missions together. These missions are also available in single player. All of the customization options return, plus you can import your builds from ACV. There will be an additional 150 parts you can use to customized your old or new machines. The meat and potatoes of ACV, Conquest mode, has been replaced by "Verdict" wars, where different factions square off for territory. This PVP mode is where the bulk of the action will happen. Players will now be able to create AI mechs to aid them in battle. Now you won't have to coordinate territory defense with live players, something that hampered the Conquest experience in the previous game. The new overwold map is set in the real world, which makes it far more interesting than the random patches of land we fought over in ACV. It's pretty simple. 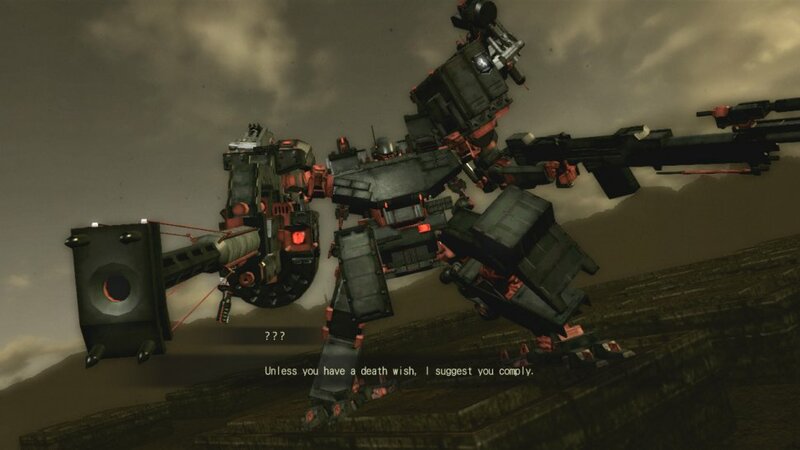 If you enjoyed ACV you'll want to pick up Armored Core: Verdict Day. If you had a good time, but were handicapped by a lack of team coordination, you should be able to substitute AI for friendly players. I didn't get to see the AI in action. I hope it's decent. If the mech action of the Armored Core series isn't your thing, there's nothing here that will really change your mind. If you are one of the dedicated fans be sure to check out the sweet collectors addition available at the Namco Bandai store. 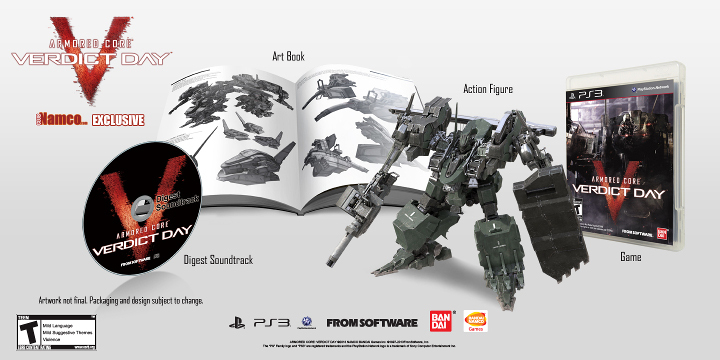 Armored Core: Verdict Day will be available on the Xbox 360 and PlayStation 3. Page created in 0.9323 seconds.